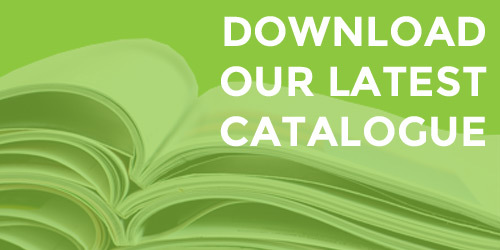 Duties: Editing materials in English, helping out with occasional administrative duties. 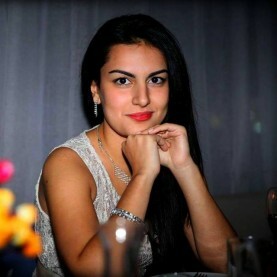 Mariam Bochoidze is currently senior year student at International Black Sea University, faculty of Social Sciences and direction of International Relations. Mariam is doing her internship at ,,Caucasian House” since October. Mariam participated in IBSU exchange program and studded in Poland for one semester. She was a member of ,,Tbilisi Hippo Fund” and volunteer of European Youth Olympic Festival in Tbilisi in 2015. Her academic interest is Negotiation and Conflict resolutions. Duties: Editing materials in English, helping out with occasional administrative duties, writing analytical papers. 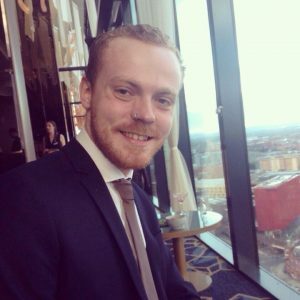 Oscar graduated from the University of Manchester in 2015 with a BA in Russian Studies, before then proceeding to complete an MA in Russian and Post-Soviet Politics at University College London in 2016. Upon the completion on his master’s degree, Oscar moved to Bishkek, Kyrgyzstan for six months where he worked as an English teacher and volunteered as a researcher and publications assistant at a local NGO, the Bulan Institute for Peace Innovations. 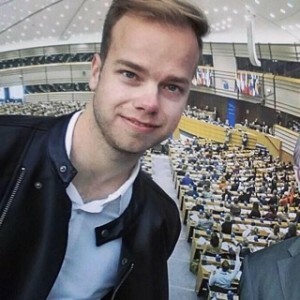 Throughout and following his studies Oscar has developed a keen interest in the politics and society of the countries of the former Soviet Union, particularly with regards to minority rights, ethnic conflict, nationalism, internet activism and censorship. Jim recently graduated at Radboud University (Nijmegen, The Netherlands) in the MSc programme Globalisation, Migration and Development, a trajectory within the Master of Human Geography. For his master thesis, he focused on the topic of borders and migration in the Mediterranean. While doing a research internship at the Universitat Autònoma de Barcelona in 2015, he carried out extensive fieldwork in Catalonia, as well as in the Spanish enclaves of Ceuta and Melilla and Morocco. In 2016, he worked as a volunteer at Vluchtelingenwerk Oost-Nederland, becoming involved with the Dutch language learning of Eritrean refugees. With a BA in Romance Languages and Cultures (Radboud University), and with stays in Granada (Spain) and Porto (Portugal), Jim has always shown a big interest in languages, linguistics and literature and currently also works as a professional freelance translator. The Caucasus, as a highly multi-ethnic, multilingual and multicultural entity, has always had his attention. His main research interests include borders, political relations, migration, religious extremism and demographics. Bennett is a recent graduate of Wake Forest University (North Carolina, USA), where he received highest honors in Politics and International Affairs and the Study of Religions. He will begin an MA degree in Law and Diplomacy at the Fletcher School of Law and Diplomacy (Tufts University) in September 2018. Duties: Editing materials in English, helping out with occasional administrative duties, writing an analytical paper. 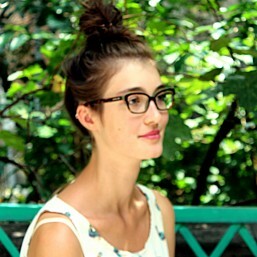 Juliette Vieillevigne is a political science student from Paris, France. After obtaining a ‘Mention Très Bien’ at the French Baccalaureate, she spent 3 years in London studying International Politics at King’s College London. 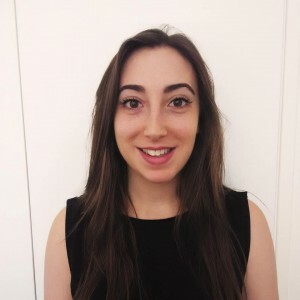 Having just graduated and obtained her Bachelor’s Degree with a 2:1, she has started her Master’s in International Security at the Institut Barcelona d’Estudis Internacionals (IBEI) in Barcelona in September 2015. Alongside her studies, Juliette has undertaken some outreach work as a volunteer for the NGO Aegis Trust and participated in an international summer school at the Moscow State Institute of International Relations (MGIMO) in Moscow. 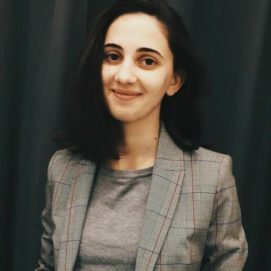 Over the summer 2015, she did an internship in the Peacebuilding and Minority Integration Programme of the Centre for Cultural Relations – Caucasian House in Tbilisi, before working for 2 months as an open source intelligence analyst for Hozint – Horizon Intelligence, a consulting firm specialising in political and security risk monitoring. Duties: Editing materials in English and in Russian, helping out with occasional administrative duties, writing analytical articles. Ivan has a large academic background in political science, international relations, and peace studies. 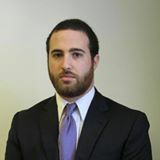 He has a BA degree in Political Science and International Relations from the American University in Bulgaria. He currently doing his M.Phil. International Peace Studies, Trinity College Dublin (Ireland). In addition, he participated in CIFRU (Centre International Francophone de Rencontres Universitaires), Dijon, France, which was a socio-cultural programme for the international students. Finally, he obtained a diploma from the American Institute on Political and Economic Systems, Charles University, Prague (Czech Republic). He successfully applies the academic knowledge while being an intern for the Caucasian House. Duties: Editing materials in English, helping out with occasional administrative duties, writing analytical articles. Aurėja is a student of political science at Institute of International Relations and Political Science in Vilnius University, Lithuania. Since it’s her last year, she is also working on her bachelor thesis related to minority rights and collective memory. As an international student at Eötvös Loránd University with the specialization of nationalism Aurėja spent her last autumn semester in Budapest, Hungary. 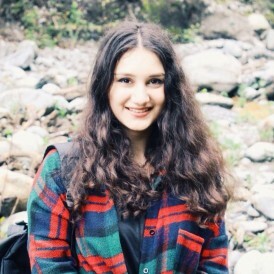 In Tbilisi she studies at Ivane Javakhishvili Tbilisi state university. She is currently working on the project„ Developing Women Social and Economic Activities in Georgia: the Case of Pankisi Valley and Akhalgori.“ Her academic interests are nationalism, minorities, development of the Baltic States, the studies of post-soviet space. 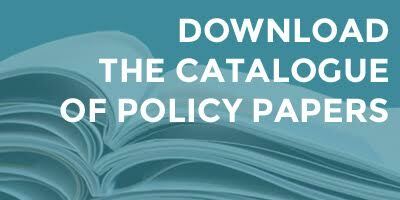 Interested in the intersection between conflict and culture, especially in the post-Soviet space, Anne Hardt currently is part of the Erasmus Mundus Master in Public Policy. Finalizing her first year at Central European University in Budapest she will finish her degree at the Institut Barcelona d’ Estudis Internacionals next year. 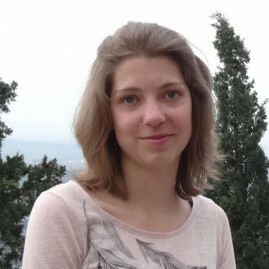 Anne Nietschmann finished her Bachelor in Interdisciplinary Russian Studies at Potsdam University and spent one semester in Irkutsk. In the frames of the MA program East European studies with focus on Economics at the Free University in Berlin, she is currently studying for one semester at the Faculty of Economics at State University Saint Petersburg. From March to June 2014 she did 4 months internship in the Caucasian House in Tbilisi. She participated in the shooting of a documentary about the conflict with South Ossetia and wrote several articles on the relations of Germany and Georgia/Ukraine/Russia. hosted by OSCE informational center in Caucasus. 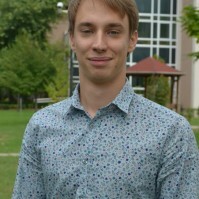 Nino Manizhashvili is currently junior year student at International Black Sea University, Faculty of Social Sciences, and Direction of International Relations. Nino is doing her internship at “Caucasian House” since November. She is member of EPAG (U.S. Government Exchange Program Alumni Association of Georgia). Nino was representative of Georgia at exchange program at Wake Forest University North Carolina. She has also participated in several EU projects including SilkRoad Research Institute and “University Collaboration Network at the Black Sea- Univer-Sea.Net”. Nino is interested in languages and Diplomacy.